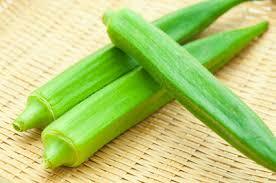 Okra is a plant with edible fruit, used in a wide range of recipes with many health benefits. The edible part is in the form of a 7-20 cm long pods containing numerous seeds. Growing Okra can be a very successful business because of high selling price and high demand on the market. Okra recipes: soups, sauces, salads, stews, steamed dishes, pickles and many other mixes lining. Health benefits of Okra: health in developing nervous system of the fetus, for diabetics - blood sugar levels, body detox, cholesterol, losing weight fast diets, bone related diseases such as osteoporosis. Okra is planted in may-june and harvested in July-August. Very important to know is that okra must be harvested green with length of 7-8 cm. If not collected on time, okra become yellowish and can be only used for seed, not for consumption. Okra should be immediately placed in cold storage after harvesting. Selling prices are about 3 to 5 euro/ kg fresh okra and 5-7 lei / kg frozen okra in stores. As profitability - cost seeds – productivity – income can be estimated 5 times the investment. Productivity would be about 1-1.5 tonnes / 10000 square metters. For growing okra is recomandeda smaller cultivation area firstly because is faster to harvest and secondly a smaller area can be monitored and managed more easily and with lower costs. 0 Response to "Growing Okra"